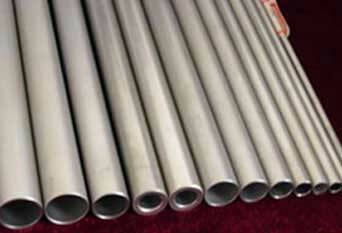 ASTM A213 Tube, ASTM A213 Stainless Steel Tube, Stainless Steel ASTM A213 Seamless Tubes, ASTM A213 TP304 Seamless Tubes, ASTM A213 SS Seamless Tube, Seamless Austenitic Stainless Steel ASTM A213 Tubing, A213 UNS S30400 Tubes, ASTM A213 Stainless Steel Tubes Supplier in Mumbai, India. This specification covers seamless ferritic and austenitic steel boiler, superheater, and heat-exchanger tubes. Grades containing the letter H in their designation have requirements different from those of similar grades not containing the letter H. These different requirements provide higher creep-rupture strength than normally achievable in similar grades without these different requirements. The tubes shall be made by the seamless process and shall be either hot finished or cold finished, as specified. Piyush Steel is a recognized supplier and manufacturer of Austenitic Stainless Steel Seamless Tubes, which has some excellent features to offer such as Value Added Services, Hot Dipped Galvanizingm Epoxy & Fbe Coating, Electro Polish, Draw & Expansion, etc. We have marked a distinct and dynamic position in the market by trading and supplying a high quality array of ASTM A213 SS Seamless Tubing. These are offered in various specifications of shapes and sizes as well as we meet customized requirements of our clients. 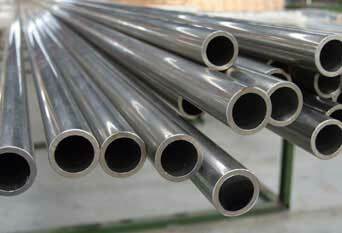 ASME SA 213 SS Seamless Tubes are fabricated with premium quality raw materials to ensure the durability and reliability of our products. Valuable customers can avail this from us in different specifications as per their needs. 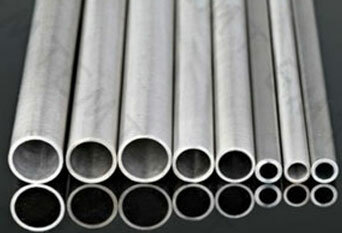 Provided tube seamless is obtainable in a wide assortment of shapes, grades, lengths and other allied specifications. We invite your inquires and welcome your interest. Our offered ASTM A213 Stainless Steel Seamless Tubes is manufactured by vendor’s experts utilizing the advanced technology and superior grade material. These are manufactured in our equipped manufacturing unit, using high quality stainless steel and cutting-edge technology. ASTM A213 SS 317 Seamless Tubes are widely appreciated by our clients for their rust resistance, fine finish, dimensional accuracy, effective cost, durable, low maintenance and more. We manufacture qualitative ASME SA 213 Stainless Steel 304 / 304L Seamless Tubes, which are applicable in diverse industries. 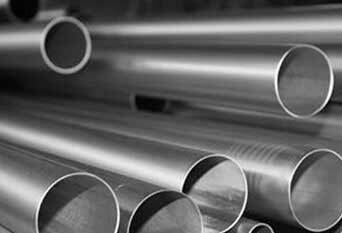 The steel that we offer is used in various industrial and commercial purposes. This pipe seamless is highly utilized in the gas and oil industry. The tubes we offer are extensively used in oil refineries, sugar mills, chemical plants, petrochemicals plants, fertilizers plants and varied other industries. These are also workhorse grade for wide variety of instrumentation and hydraulic application. We Supply ASTM A213 / ASME SA 213 Seamless Tubes of various origin’s and companies like Nippon Steel & Sumitomo Metal, Sandvik, Sanyo Special Steel, Kobe Steel, Schoeller Bleckmann, Salzgitter Mannesmann Stainless Tubes, Tubacex etc. Other Names : ASTM A213 TP304, ASTM A213 TP304h, ASTM A213 TP309, ASTM A213 TP310s, ASTM A213 TP316l, ASTM A213 TP316h, ASTM A213 TP316ti, ASTM A213 TP317l, ASTM A213 TP330, ASTM A213 TP321, ASTM A213 TP321h, ASTM A213 TP347, ASTM A213 TP347h, ASTM A213 TP904l, ASTM A213 UNS S31254, ASTM A213 UNS S30400, ASTM A213 UNS S30403, ASTM A213 UNS S30409, ASTM A213 UNS S30900, ASTM A213 UNS S31000, ASTM A213 UNS S31008, ASTM A213 UNS S31603, ASTM A213 UNS S31609, ASTM A213 UNS S31635, ASTM A213 UNS S31703, ASTM A213 UNS N08330, ASTM A213 UNS S32100, ASTM A213 UNS S32109, ASTM A213 UNS S34700, ASTM A213 UNS S34709, ASTM A213 UNS N08904.